> Findings>Silver Colour Findings>Star charm silver colour, approx 11mm. Pack of 10. 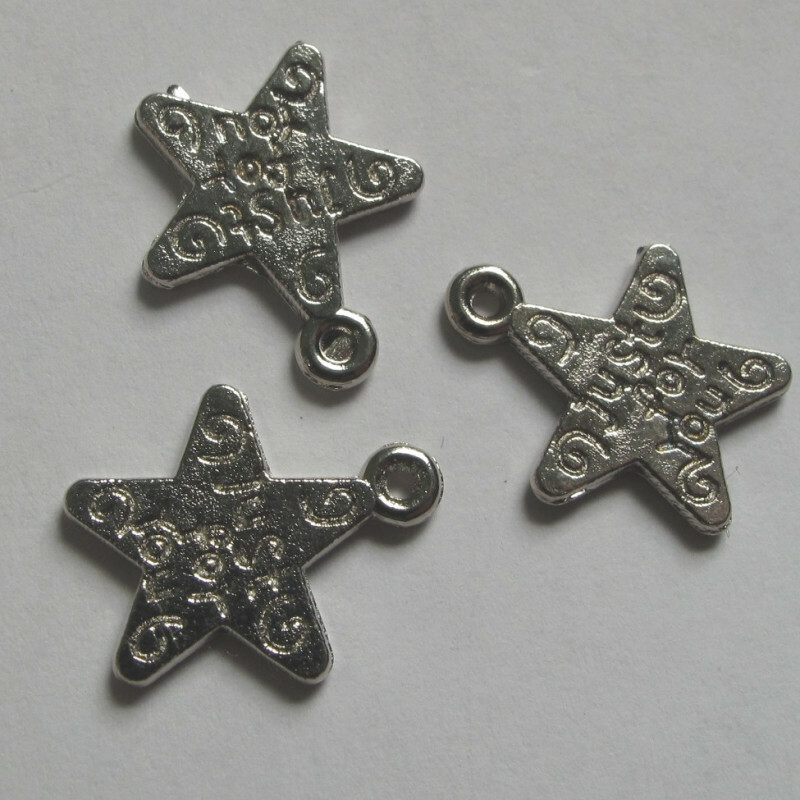 Star charm silver colour, approx 11mm. Pack of 10. Star Charm Silver Colour, Approx 11mm. This star has "just for you" written on it. Pack of 10.